The birthstone for the month of September is the blue sapphire. 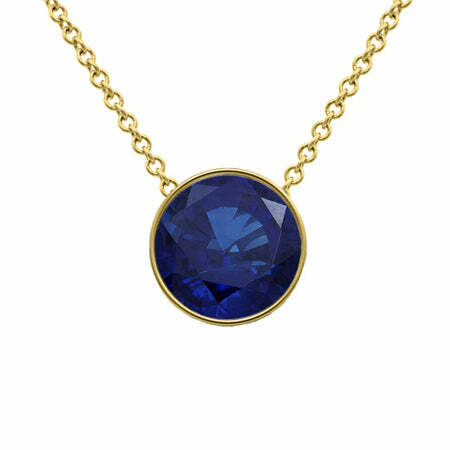 deBebians carries a large variety of sapphire jewelry, which is as timeless as it is beautiful. A newer tradition is to present a new mother with a gift after she has given birth to a child. Of course the baby is a gift in itself, but who wouldn’t love and appreciate a beautiful piece of jewelry to commemorate this special time? I have selected a few pieces of jewelry that are perfect to be given as push presents. Each of these pieces costs less than $1000 and will be able to be worn and appreciated for a lifetime. Shown here with a yellow gold chain and bezel, this simple necklace is perfect to be worn each and every single day. The sapphire will weigh your choice of 0.33 ct or 1.00 ct. In addition to the bezel setting, we also offer the necklace with a four prong setting in 14 karat white or yellow gold. 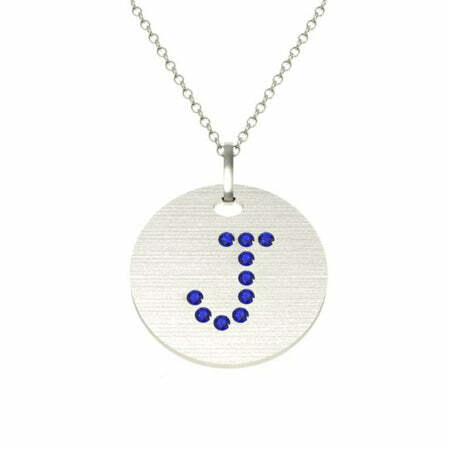 This necklace is available in your choice of 14 karat yellow, rose, or white gold. You may select any initial that you want, which may be flush set or pave set. This necklace is a contemporary design that can be worn layered with other necklaces or on its own. A rolling ring represents the past, present, and future, so this is a lovely gift to present to a woman that is starting a new journey into motherhood. 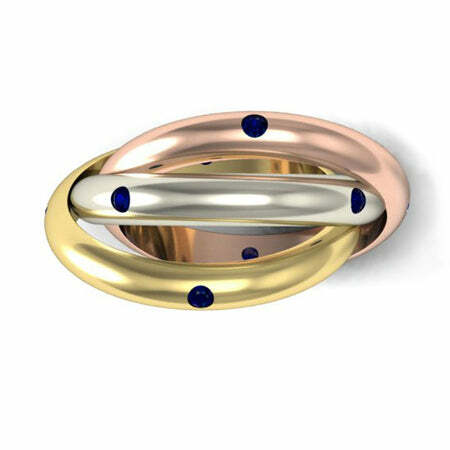 This particular ring is made up 14kt of white, yellow, and rose gold. The three colors of gold complement one another and create an unforgettable look. Please refer to our gemstone jewelry guide to see all of the birthstone jewelry that deBebians has to offer.